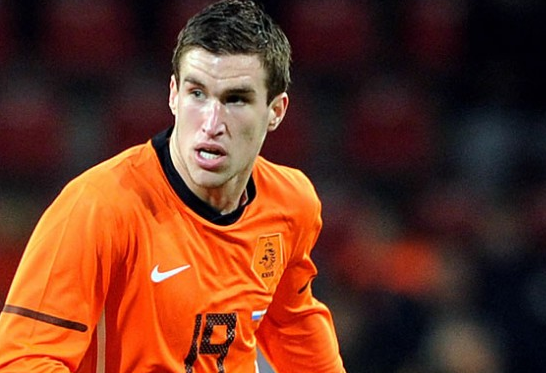 Despite being 23-years-old, Kevin Strootman lines up for Netherlands. Holland have named 11 players with senior caps in their squad for next month’s European Under 21 Championship. Among the names in Cor Pot’s 23-man squad is Adam Maher and Kevin Strootman, two names that are now common language throughout Europe. 19-year-old Maher has appeared four times for the senior side and was called up to the provisional 36-man squad for last year’s senior European Championship. The AZ Alkmaar midfielder is now a key player for his side and produced consistently high quality performances as he helped his side win this season’s KNVB Cup. Strootman is one of the most prolifically-capped senior players that will travel to Israel this summer and could be the defining object to be the difference between Holland winning or losing the Championship this summer. Despite being 23-years-old, competition regulation states that players must be born on or after 1st January 1990, of which Strootman fits into the category of being born on 13th February that year. PSV Eindhoven defender Jetro Willems did not make the cut, supposedly for his already-established involvement with the senior side. Tonny Trinidade de Vilhena is another notable name of inclusion. The Feyenoord midfielder was part of the squad that won the European Under 17 Championship last year and has made stunning progress since.